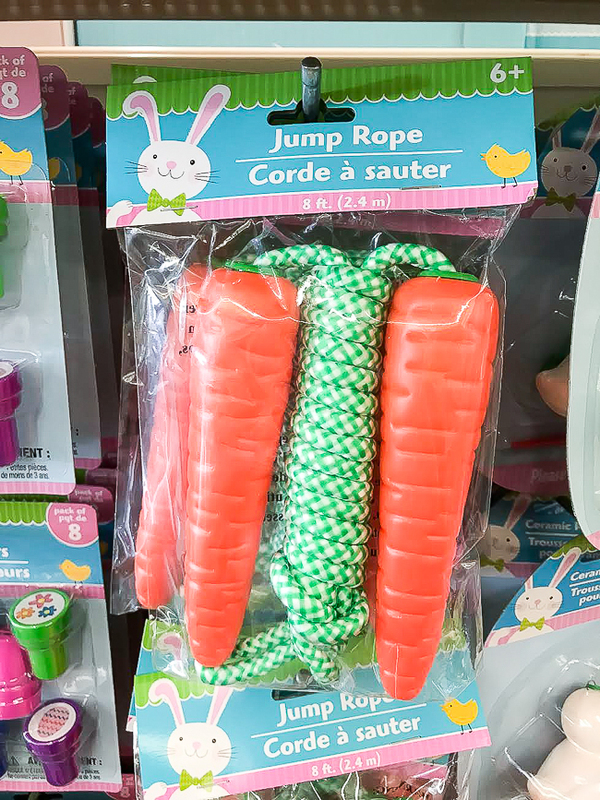 Turn Dollar Tree jump ropes into realistic carrots, perfect for Easter and spring decor! Hello March, I'm so glad you're here! 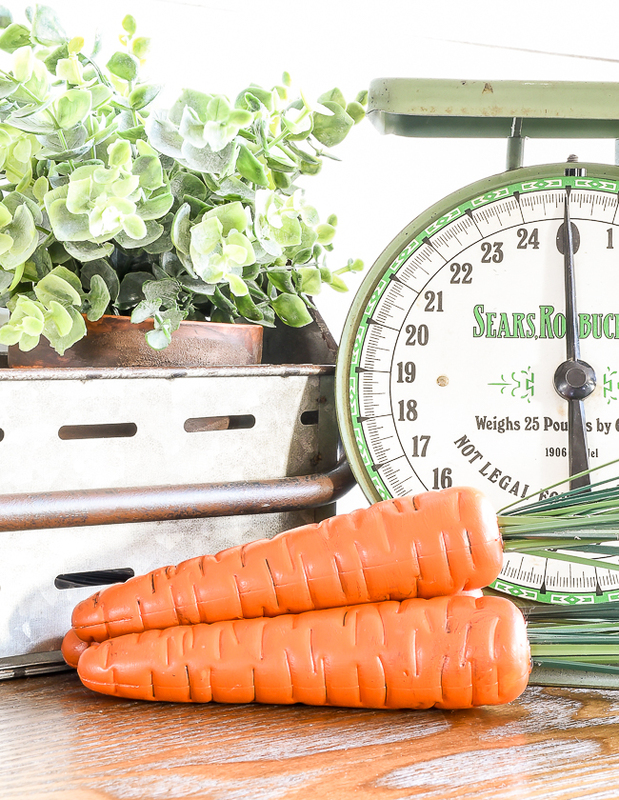 You bring birthdays, sunshine and the official start of spring. You bring longer days, warmer weather and flower buds. You brighten my mood and add a little bit of brightness to our home. You bring the start of a new month and another edition of Dollar Store DIY. 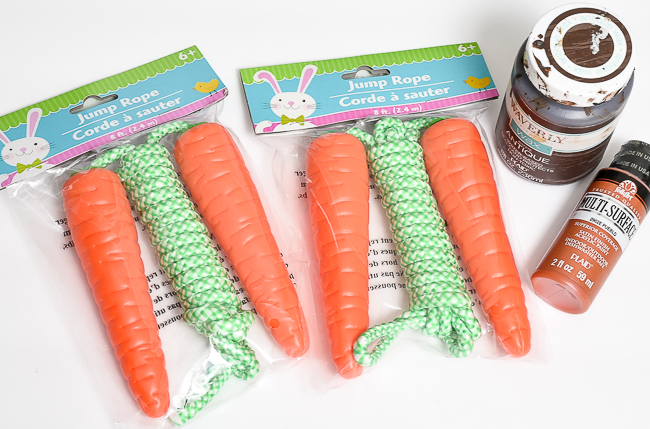 With the official start of spring less than 3 weeks away, I thought it was the perfect time to share another version of my Dollar Tree jump rope carrots. A few weeks ago, I let my Facebook followers know they were back in stock and I couldn't resist grabbing a few more for myself. Last year, I painted them white to fit in with my everyday decor, but this year, I kept them orange for a little more realistic look. Not only did I get my carrots jump ropes from Dollar Tree, but I also grabbed a few of their artificial onion grass stems, making the supplies for this project super affordable and super easy to find. Just look at these adorable little carrots. 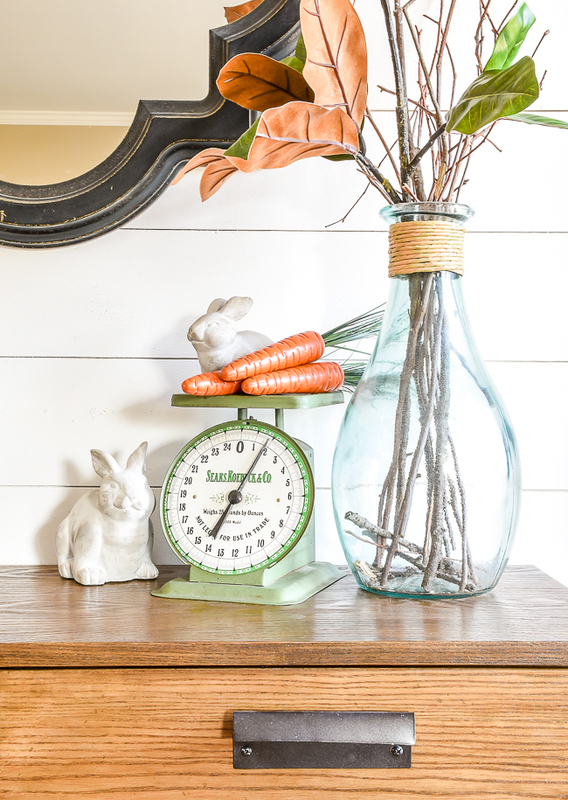 They're the perfect size and shape to turn into beautiful spring and Easter decor. 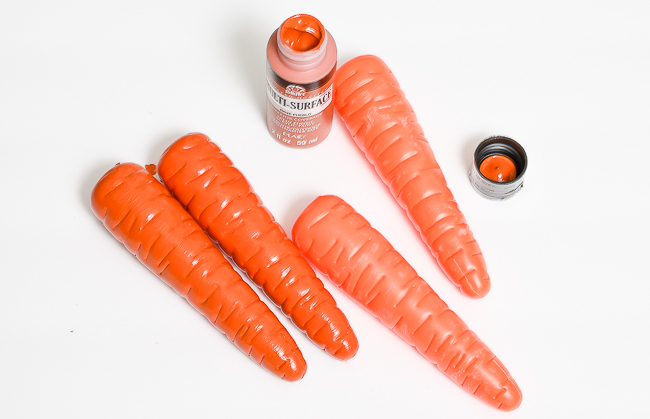 Cut off the jump rope, lightly sand the carrots then apply 2-3 coats of your favorite orange craft paint. 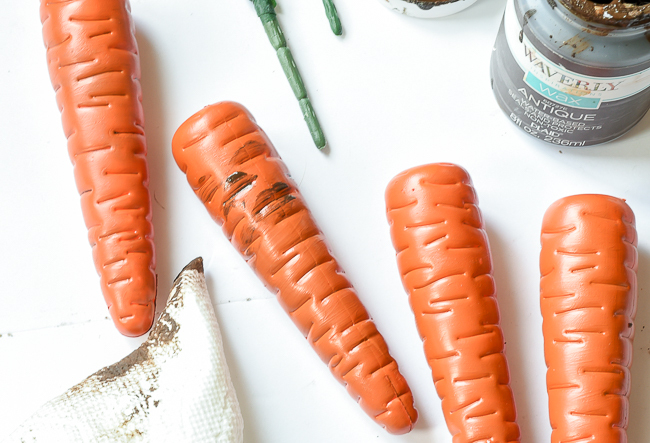 I know, the carrots are already orange, but adding paint makes them appear a little more realistic over keeping them in their original form. 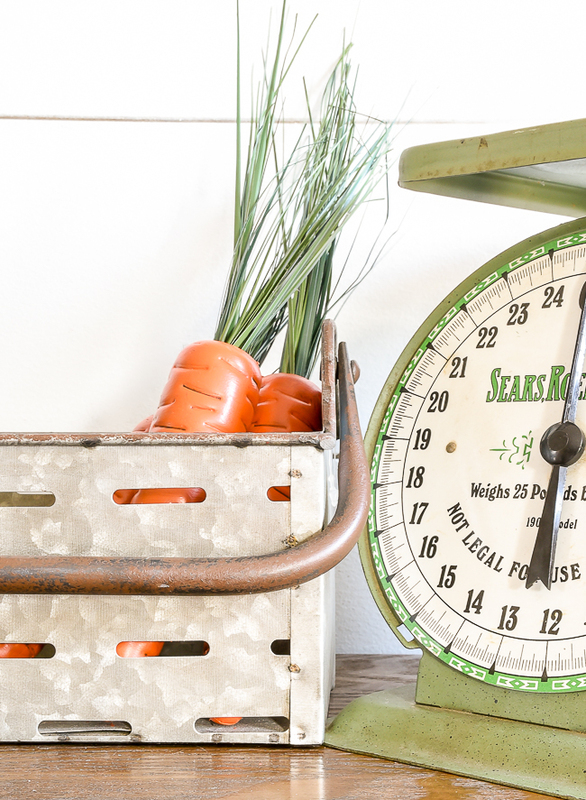 ***TIP*** Chalk paint works much better, so if you have orange chalk paint I would strongly advise using that over craft paint. 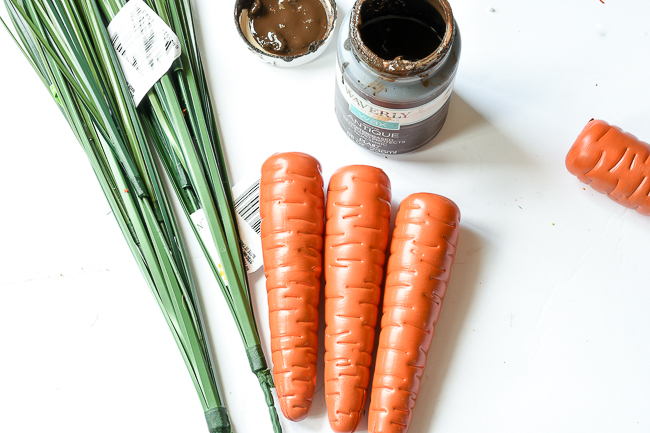 Once the paint is dry, apply a light coat of antique wax over the entire carrot, especially in the creases. 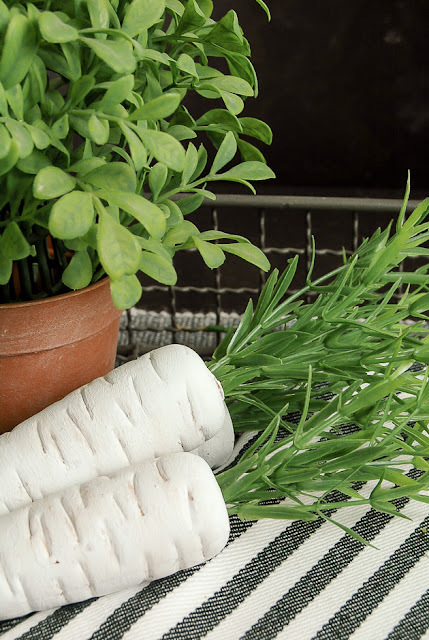 Slide off sections of onion grass, cut them to length then hot glue them to the inside of the carrots. I used the top section of the grass since it had various heights and thicknesses, making it appear more realistic. 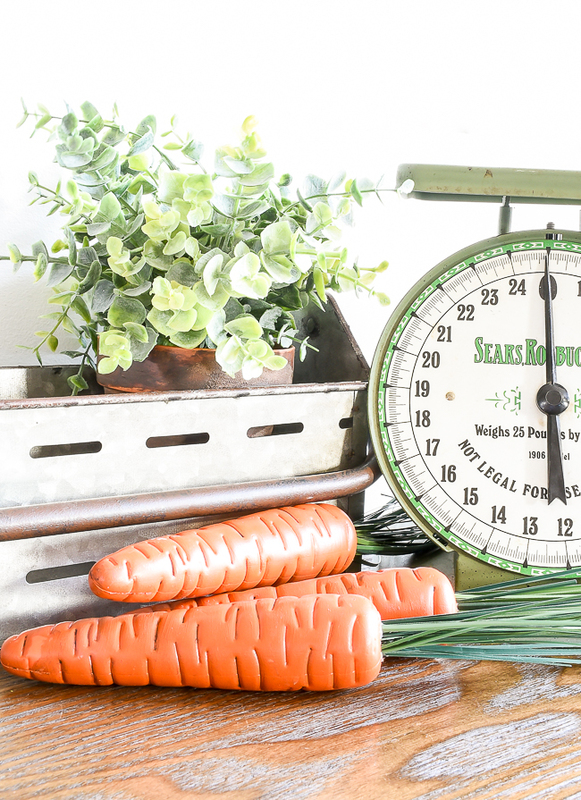 Place your carrots in a galvanized bucket or lay them on a table with other decor. Either way, they make a great (and affordable!) 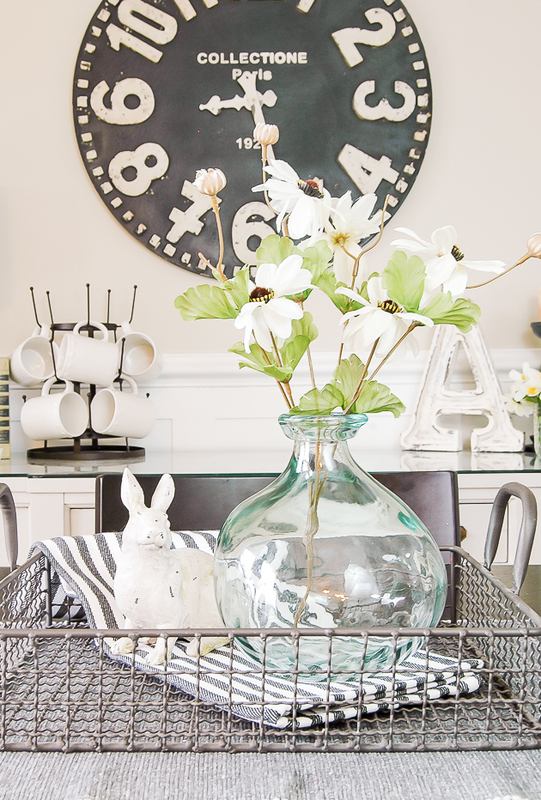 addition to your spring decor. 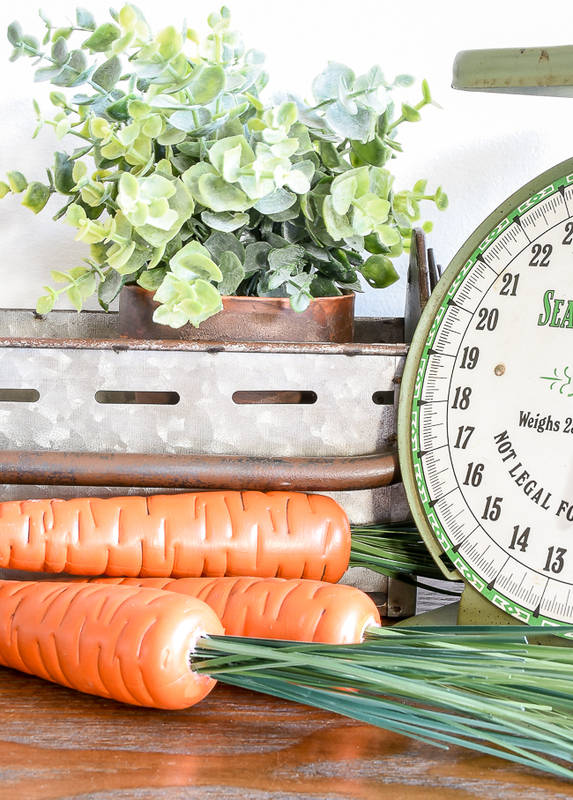 Have you made these little jump rope carrots before? If not, head to Dollar Tree and grab a few jump ropes before they are gone. For just a few dollars, you can turn them into an adorable addition to your spring and Easter decor.